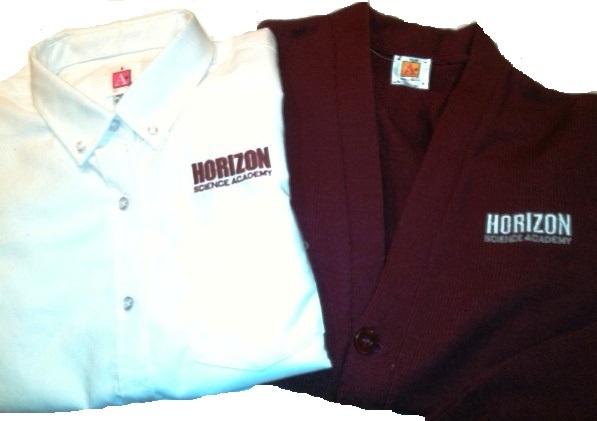 School Days Uniforms is your primary uniform store and stocks all Horizon Science Academy apparel. At check out you can select to pick-up your items at our Gahanna or Clintonville location, have your items shipped to your home for a UPS charge or delivered FREE to the school office each week during the school year. Please call 614-476-4104(Gahanna) or 614-262-6016(Clintonville) with questions. School Days will be SET-UP at Horizon Science Academy High School in May to take orders for back-to-school. Save 25% off your total purchase. May school set-up date coming soon. Uniforms are a fundamental part of school culture at Horizon Science Academy High School.